Having troubles getting a download speed of 25MBps, as promised, from my provider. Tests have indicated 2. MBps to .7 MBps. Have complained and got an agent. This person told me that I need to replace my Hardware, as the iMac is 6 years old. Also told me to reboot (pull plug at electric connection) their modem at least 2 times a week, and do the same with my computer. I think these actions will burn out the modem, and mess with my computer. Any Ideas????? Your 6 year old iMac is absolutely not the problem. 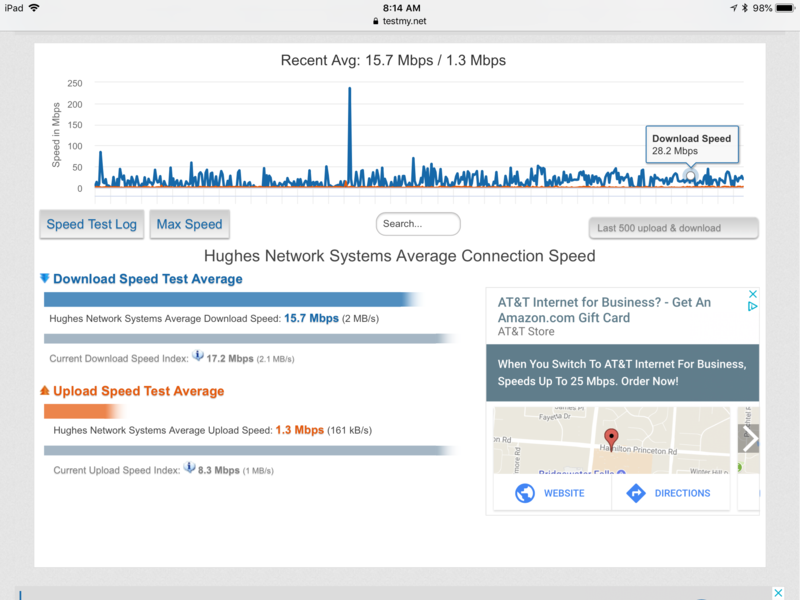 I have a mid 2010 iMac and routinely get 200 Mbps - not from Hughes Network though. Lots of people on this site have had trouble with Hughes. are you connected via wireless or Ethernet? And you should not have to reboot the modem like they told you. You shouldn’t have to reboot the modem more than a few times a year. You’re connecting to the Dallas Test server. How far from you is Dallas? if you’re connecting via wireless, run Airpport Utility. 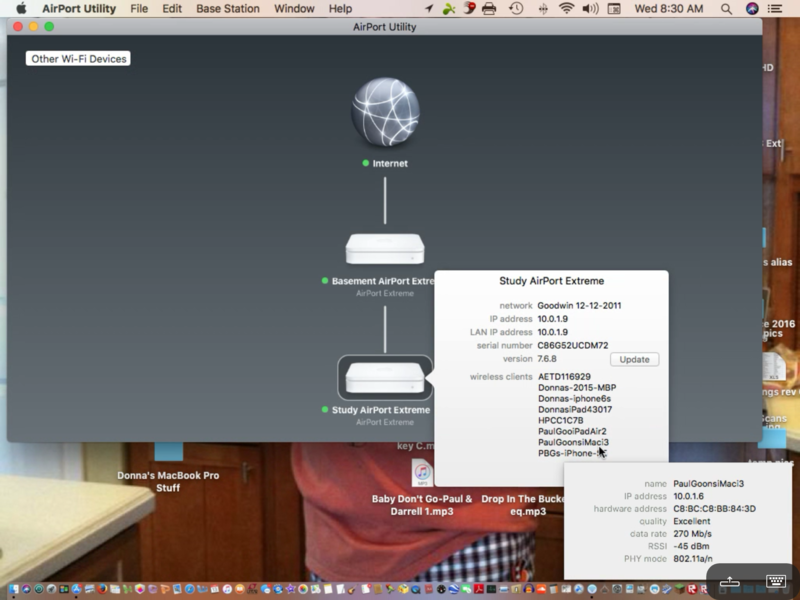 When your wireless router shows up in the app, select it. Then select your computer on the popup. It’ll show you what speed you’re connecting to your wireless. It should look something like the picture below. Note my 8 yr old iMac is connecting at 270 Mbps. i included a picture of the Hughes net average on this site. It’s around 16 Mbps. I don’t know what the plan speeds are for those that have brought that average up to that number.